Situated off Boxalls Lane, in Aldershot, Hampshire, is probably one of the British Isles smallest and least known country parks. (Unless you know of one under 8 acres!) 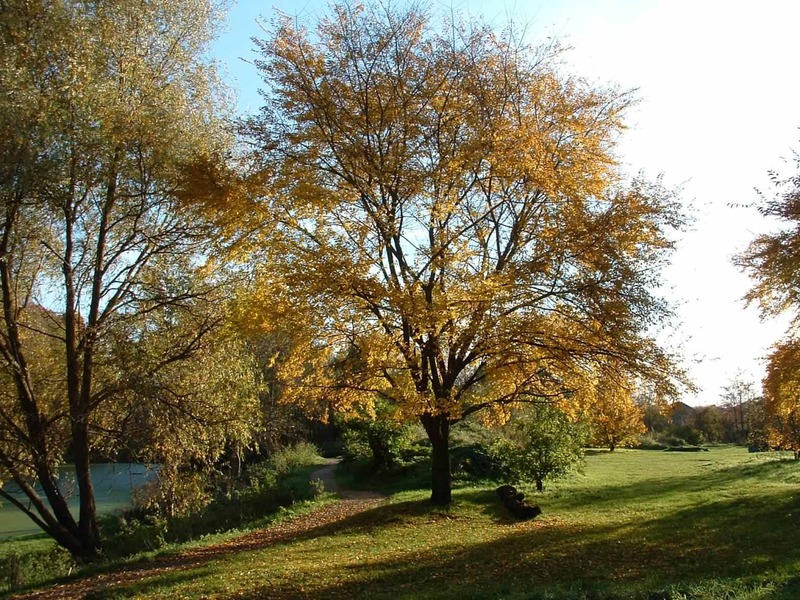 Reclaimed from the remains of a Victorian brickworks and clay diggings, Brickfields Country Park is a peaceful, natural park, known only by local residents and a few in the know - and now you! . . . .
Brickfields Country Park is maintained by The Friends of Brickfields Country Park in conjunction with Rushmoor Borough Council, The Friends group were formed in 1992 by several local residents wanting to become involved in the upkeep and protection of their local wildlife amenity. The group operates under license from Rushmoor Borough Council as part of the Parks Department, performing varied conservation tasks from rubbish clearing, path building, maintenance and publicity. We are associated to Blackwater Valley Countryside Partnership which links us to other conservation groups nation-wide for training, help and advice. We welcome involvement from anyone, as members of the group or occasional volunteers. Work parties are held in the park on the 1st and 3rd Sundays of the month from 1:30pm onwards (12:30 in the winter) unless it is bucketing down! see the Dates page for the latest work schedules and list of events. No special skills are needed, just some strong footwear and a bit of enthusiasm!, we provide the tasks, tools, tea and biscuits. Our 2019 Funday will be on Sunday the 7th of July. Further details are on our Dates page. August 2018 - Once started the pond refurbishment work progressed very quickly and was completed in two weeks. A series of pages linked from our main photo Gallery can be found - here. Currently they are sectioned into before - tree felling and Dredging. A section to show the completed works will follow once we have had some rain. June 2018 - We have now recorded 544 species in Brickfields Park!. Many years ago we were told that we - might - find 300 species in Brickfields Country Park, but we thought we had much more than that, and so with many long hours of research, crawling around in the grass taking photos, identifying finds and pouring over lists compiled by other researchers we have so far identified 544 species of flora and fauna with another 37 species to research and confirm. See the Plantlife, Wildlife and Sitemap pages for the current lists. Our Search page with its new core has made it easier to find that odd bit of information you are looking for in the 1400+ pages we currently have. Information on - our history - related links - future dates - photos and descriptions of the 544 species of fauna and flora that have been found in the park, including a gallery of over 2100 photos and videos of plants - flowers - animals - trees - views - park events and more from Brickfields Country Park. Contact Mike, if you find a any problems. Please roam around our website, you will find links to similar organisations as ourselves, along with their E-mail addresses, contact names and some handy phone numbers and web urls. There is a description of the park, its long and involved history, how to find it and forthcoming dates for volunteer group The Friends of Brickfields Park. Please feel free to e-mail any comments and suggestions for our site. The three "walks" documents above are ©2004 Rushmoor Borough Council. They are Adobe pdf documents, to get a free pdf reader download Adobe reader here.